Every three days, someone in Ontario dies waiting for a lifesaving organ transplant. This situation exists despite the fact that we have the cure, the knowledge and the tools to save them. We simply don’t have enough organ donors. While most Ontarians suggest they support organ and tissue donation, only 31 per cent have actually registered consent. Research from the Trillium Gift of Life Network suggests that as many as 15 per cent of Ontarians mistakenly believe they are registered when, in fact, they are not. These 1.8 million ‘mistaken’ Ontarians represent potentially missed opportunities for donation because their wishes are not recorded. Some of these Ontarians may have signed a paper donor card years ago and are not aware that donor cards are obsolete. Ontario’s registry holds consent information in the health card database, so consent information can be shared with a potential donor’s family if necessary. That’s why this April – Be A Donor Month -- Trillium Gift of Life Network and Niagara Health are asking you to check your registration status. 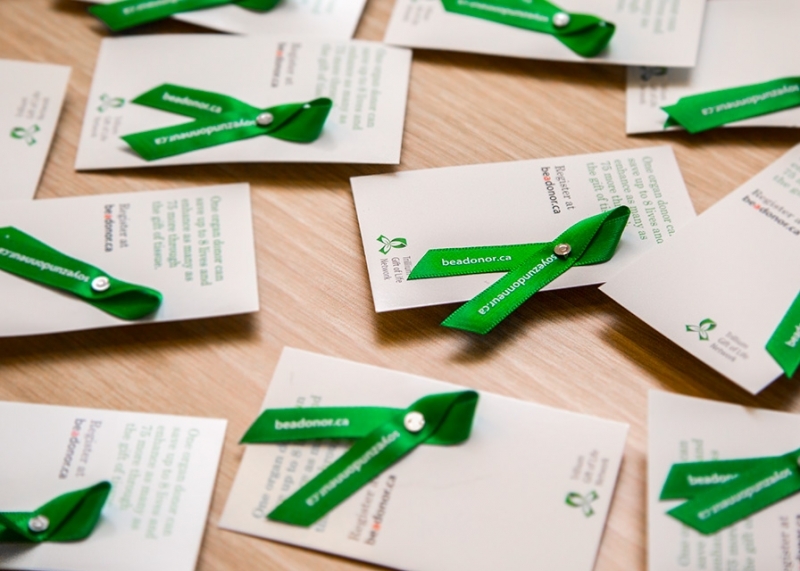 If we can reach those 1.8 million Ontarians, who we know are supportive of organ and tissue donation, we could increase the registration rate to 45 per cent. This would put Ontario on par with some of the highest registration rates in the world. Checking registration status is easy. Look on the back of your photo health card for the word “donor” or check it online at beadonor.ca. “This BeADonor month we are encouraging all Ontarians to check if they are registered at www.BeADonor.ca,” says Ronnie Gavsie, President and CEO of Trillium Gift of Life Network. Trillium Gift of Life Network is a not-for-profit agency of the Government of Ontario and is responsible for planning, promoting, coordinating and supporting organ and tissue donation for transplantation across Ontario and improving the system so that more lives can be saved.